Circling Through This Life: What Kind of Home Schooler Am I? I've never really known what to call myself. I usually end up saying that I prefer a literature based approach to homeschooling with classical leanings. I do not consider myself a classical home schooler though. For the last couple of days I have been contemplating the question "What kind of home schooler am I?" and I've been playing with this quiz that a crew friend posted to the crew forum. I love narration. I love Latin and Logic. I think children learn best when they are interested but I do think that sometimes they have to learn about things they are not interested in. I am the parent and I am responsible for their education. I think formal school before 7 isn't evil but I don't think it is necessary for many children. I think living books are fabulous and I think text books can be living books. I love using a literature based approach to history and science and geography. I think discussions are vitally important and a great way to interact with my kids about what they are learning. I think all people need to learn how to do things like garden, car maintenance, chores etc. but I do not think they should be part of a formal academic education. I would teach those things to my children whether they were home schooled, public schooled, private schooled, or parochial schooled. I took the quiz several times and each time I got different results. Why? Well, because I wasn’t sure how to answer the questions. There is a statement and then you have to choose between strongly agree, agree, neither agree nor disagree, disagree or strongly disagree. Some of the statements, my gut responded, it depends. There were some questions that I agreed with part of the statement but not the whole statement. “Great books from history and literature should be used in place of textbooks.” Yes, I strongly agree that great books from history and literature should be used. I disagree that they should be used in place of (or instead of) textbooks. I think textbooks have their place and a textbook can be a living book. I do label myself as a literature based home schooler but but but I use textbooks too! I found the quiz valuable to help me understand myself and my approach to education. I am still hesitant to call myself a classical home schooler. I have never thought of myself as an unschooler but one thing that kept popping up high was unschooling! I do think children learn best when they are interested, but I prefer a parent-directed approach that takes children’s personality, learning style, and interests into consideration when planning a course of study. I have elements from several of the categories. Perhaps I truly am an eclectic home schooler which the website defines as “Eclectic homeschooling means that a variety of philosophies and methods are used to come up with a unique mix that works for your family.” Yup that is me. Maybe I should come up with the Tess Approach and write a book called The Tess Education. 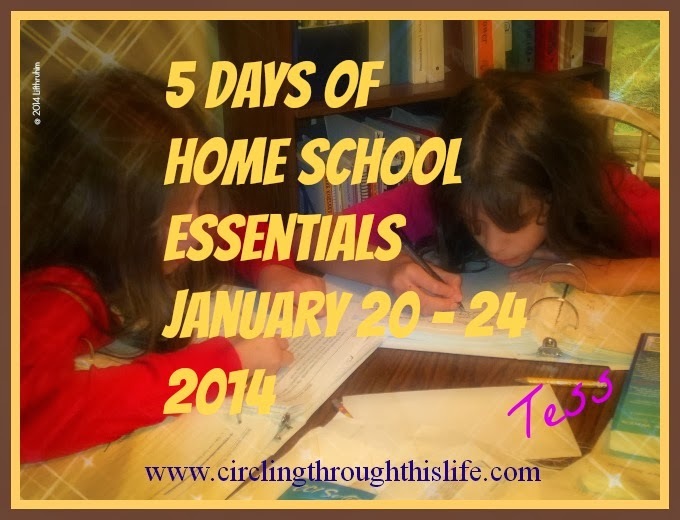 Visit the Eclectic Homeschool Blog to take the What Kind of Homeschooler Are You? Quiz for yourself. If you home educate, I’d love to hear what kind of home schooler you are, and if you are in the educational field, do you have a philosophy that you follow in your classroom? Is it influenced by district or school policy or do you have the freedom to teach in a style you prefer?